This blog hop is open to anyone with a Mum Tum. Either write in the comments if you don't have a blog, or write a post and add it to the linky below. When doing so, grab the code whilst there, so that you can have the linky list at the bottom of your post tooooooo - that's what makes it a blog hop. Please don't link to your whole blog; add a link that goes straight to a relevant post. We're a lovely group of ladies and you can read about us all at the biogs that I mention below. 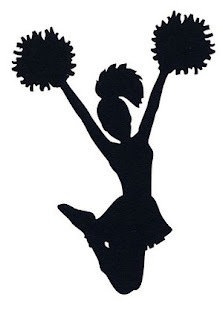 Me - The MumenTum Cheerleader! Since Mumentum's been running I only did one food shop and that was the resentful one I blogged about, where hubby skulked off to the Tesco cafe with Aaron and I stomped around by myself (1. because it was his idea to go food shopping and 2. I normally order online and have it delivered). Well another set of days off have gone (I am working tomorrow) and I haven't done a food order. And every good dieter knows that you can only eat healthily if you have the right foods in. Work has been the only thing on my mind the last few weeks........ to the exclusion of all else, and I don't eat well when I am focusing too much on work. How have we survived? Well I have popped to Sainsbury's or Co-op a few times, for a handful of items and the husband gets things on his way home from work, but we haven't had proper healthy food in, and it's been my downfall. I did have a beautiful salad for lunch yesterday and again today though (because I walked to the shops in the rain on Friday, but as I don't drive I only got what I could carry).... Why I haven't done an online order I just do not know!!! I have done some Googling though and I am trying to find out what one should have for breakfast when one is on an anti-candida diet..... starting the day with sugar (my usual jam on toast) sets you up for a fall and puts you on the rollercoaster of sugar rushes you are meant to avoid when suffering from Candida. I'm back. First piece of good news, I haven't put on any weight! Second piece of good news, I have kept off the 2 pounds that I'd lost this time last week. So yes, I ermmmmmm need to get a little serious and errrrrmmmmm a little focused, if anything is going to happen here.